No-one will believe the idea that something so cheap and simple such as Baking Soda can exceed the effectiveness of even the most expensive pharmaceutical drugs… If you don't believe me… take a look at this. At one stage it was common knowledge that baking soda could easily cure a common cold, as well as support a number of other ailments. I have heard stories of people who have sworn it to have rid their cancer. There are 1000s of reasons to use baking soda but one overall reason is that sodium bicarbonate is a natural substance that will not harm us, our children or the environment because is it not a chemical compound that effects nature in any kind of negative way. Baking soda is a compound that is found throughout nature, in the ocean, in the soil, in our foods and in our bodies. Baking soda is a neutralizer of many other compounds, this makes it exceptionally effective as a medicine in the age of toxicity. 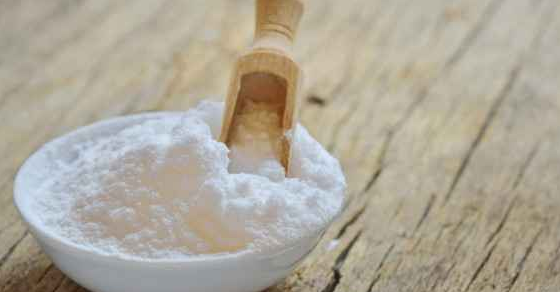 Baking Soda (Sodium bicarbonate) is already in wide use and has been for decades. It is used routinely to keep the toxicity of chemotherapy agents and radiation from killing people or from destroying their kidneys. In relation to bicarbonate, millions of people in the world either consume bicarbonate ions in drinking water or they have been treated clinically with bicarbonate in medical centers, hospitals or emergency. Baking Soda helps to save countless lives every day. Life-threatening asthma in children can be resistant to treatment with bronchodilators and systemic corticosteroids. A Recent research suggests that administering in intravenous (IV) form can significantly improve pH and PCO2 in children with life-threatening asthma. At the University of Arizona they are looking at using baking soda as a potential treatment for cancer. Robert J. Gillies and his colleagues have proven that pre-treatment of mice with sodium bicarbonate results in the alkalinization of the area around tumors. (Raghunand 2003) This type of treatment has been found to “enhance the anti-tumor activity” of other anticancer drugs. Only this year the same researchers reported that bicarbonate increases tumor pH (makes it more alkaline) and also prevents spontaneous metastases (Robey 2009). They showed that sodium bicarbonate taken orally increased the pH of tumors and also reduced the formation of spontaneous metastases in mice with breast cancer. It also reduced the rate of lymph node involvement. Unfortunately over the years modern diets have seen a rise in unhealthy acidic pH conditions. An imbalanced pH will disrupt cellular activities and functions to extreme levels as ph drops further. Excessive acidic pH leads to cellular deterioration which eventually brings on serious health problems such as cancer, diabetes, cardiovascular disease, osteoporosis and heartburn. It is face that the biological life works best in a non-acidic environment proving again just how useful baking soda is. Baking Soda is being proven time and time again as being one of the most useful substances in the world, its no surprise that pharmaceutical companies don't want doctors or anyone else to know too much about it. Everyday people are looking for alternative treatments for cancer, kidney and other diseases – let others know how simple baking soda is an important medicine and one of the safest there is. Just make sure to buy and use organic baking soda that contains no aluminum!